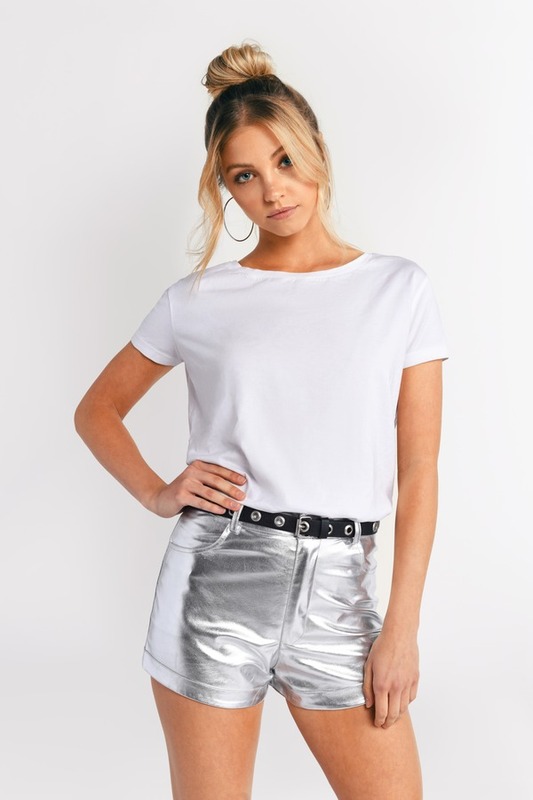 Check out Tobi's Eno Metallic Faux Leather Shorts Let us welcome the next big thing - the Eno Metallic Faux Leather Silver Shorts! Perfect for starting the party, these shiny shorts feature a luxe look with a four pocket cut, high waisted fit, and an ultra-soft interior. Pair with your favorite crop top and you're ready to party. Let us welcome the next big thing - the Eno Metallic Faux Leather Silver Shorts! Perfect for starting the party, these shiny shorts feature a luxe look with a four pocket cut, high waisted fit, and an ultra-soft interior. Pair with your favorite crop top and you're ready to party. Let us welcome the next big thing - the Eno Metallic Faux Leather Pewter Shorts! Perfect for starting the party, these shiny shorts feature a luxe look with a four pocket cut, high waisted fit, and an ultra-soft interior. Pair with your favorite crop top and you're ready to party. 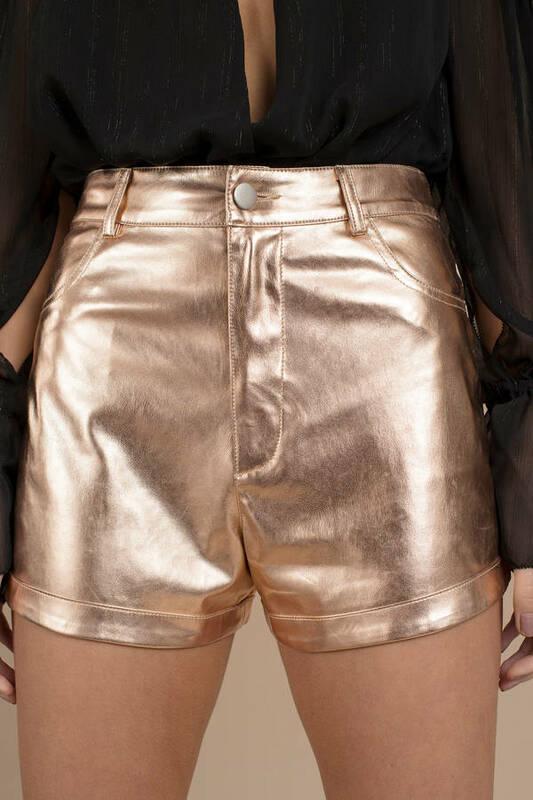 Let us welcome the next big thing - the Eno Metallic Faux Leather Rose Gold Shorts! Perfect for starting the party, these shiny shorts feature a luxe look with a four pocket cut, high waisted fit, and an ultra-soft interior. Pair with your favorite crop top and you're ready to party. Pewter, Rose Gold modeled on a size Small.